One of the focused interventions of the SPPS Programme is to strengthen capacity of the Government to roll out and implement the NSSS. SSPS will develop an overall training plan for the duration of the programme, design training courses and produce training manuals. 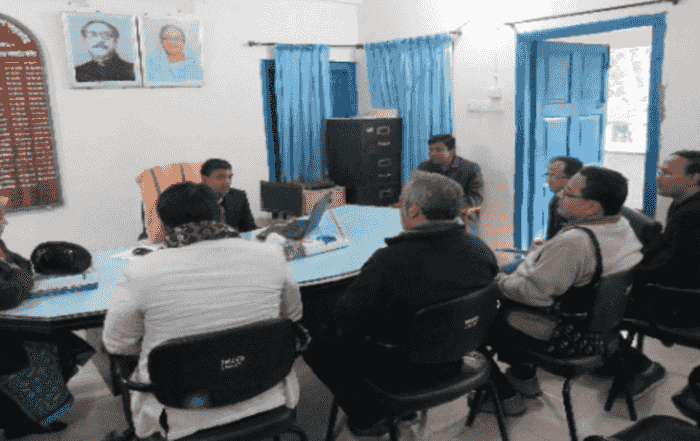 In this regard, a team of officials traveled to Kurigram on 24th January, 2016. The objective of their visit was to talk to collect information for a Training Needs Assessment (TNA). The TNA team was led by Mst. Nasima Begum- Joint Secretary-Cabinet Division; and SSPS and SWAPNO team members. A report of the TNA will be validated at a workshop held at a later date. 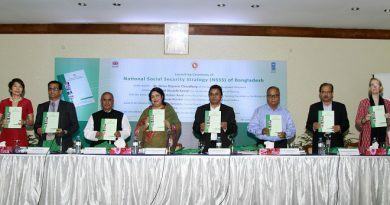 To map the capacity gaps of elected UP representatives (13 members including chairman), officials (UP secretary & focal point of SSN) pertaining to social security programme and suggest social security capacity enhancement programme. Assess training needs to enhance the UPs representatives and officials capacity to support the implementation of the NSSS, including assessing and strengthening relationships within the administrative hierarchy. Identify the required knowledge and skills of Union Parishad members/staff. Recommend a training strategy, subject matter and training curricula related to social security programmes. Prepare a monitoring and evaluation framework complete with indicators to follow up on the progress and effectiveness of the training plan.